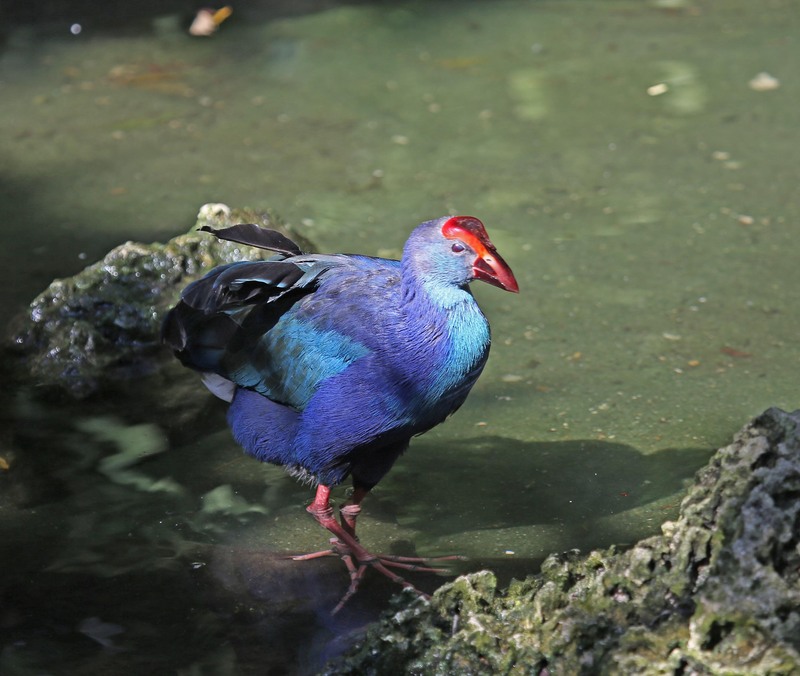 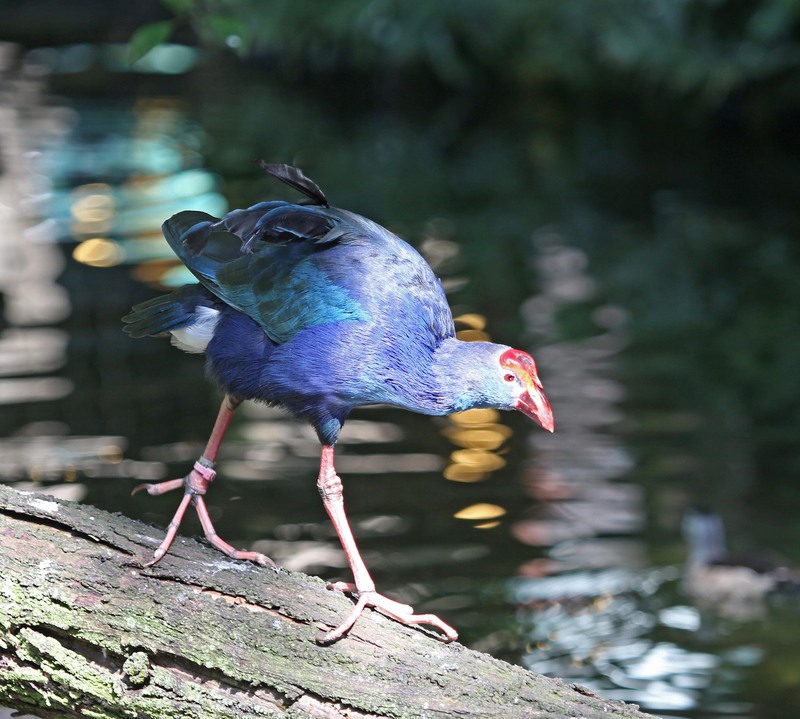 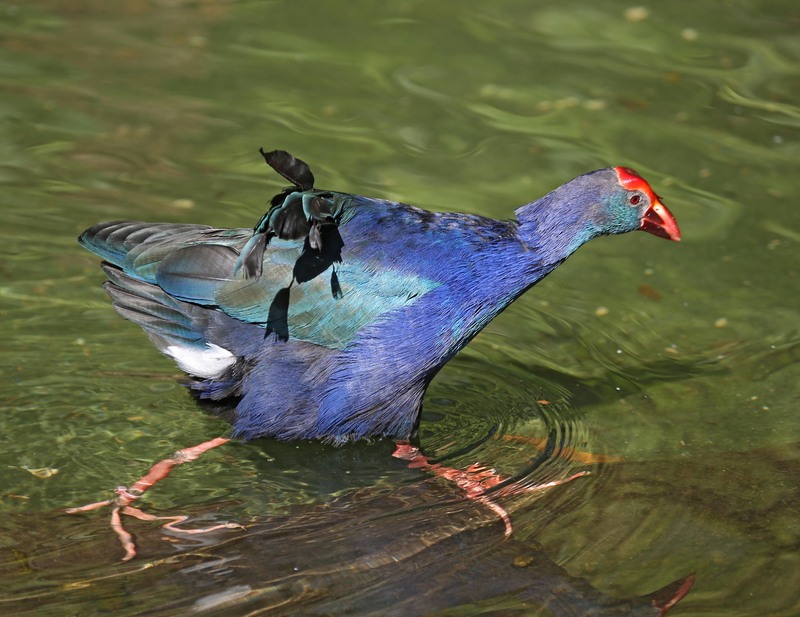 The Purple Swamphen is known by quite a few names: Pukeko, African Purple Swamphen, Purple Moorhen, Purple Gallinule, Purple Coot or Sultana Bird. 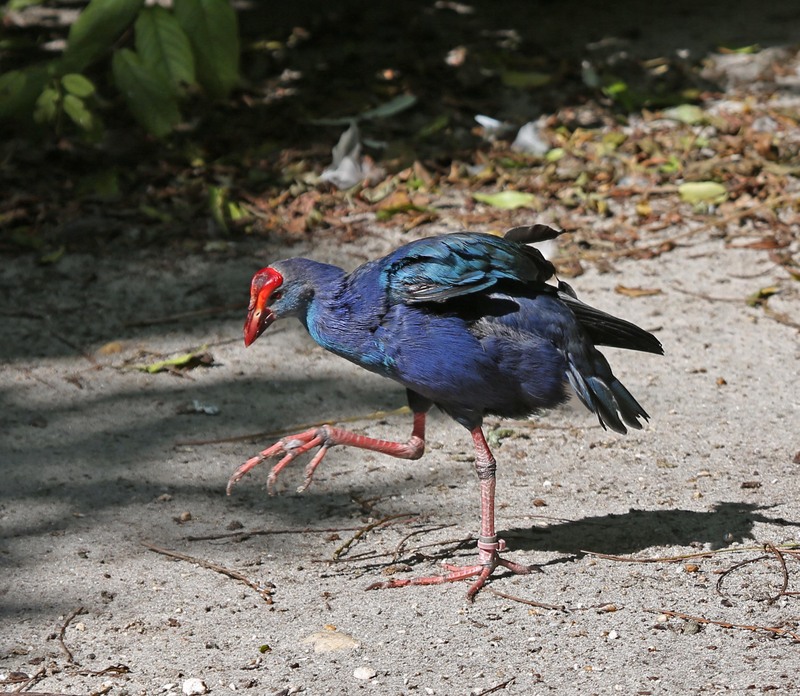 There are approximately thirteen subspecies of this bird. They are found in the southern half of Africa, India, Spain, Southeast Asia, Indonesia, Australia, and New Zealand. 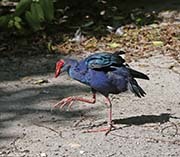 Purple Swamphens are mostly vegetarians but will sometimes eat eggs, nestlings, small rodents, insects, small fish and invertebrates such as frogs.